History of the NOVA University in Lisbon. 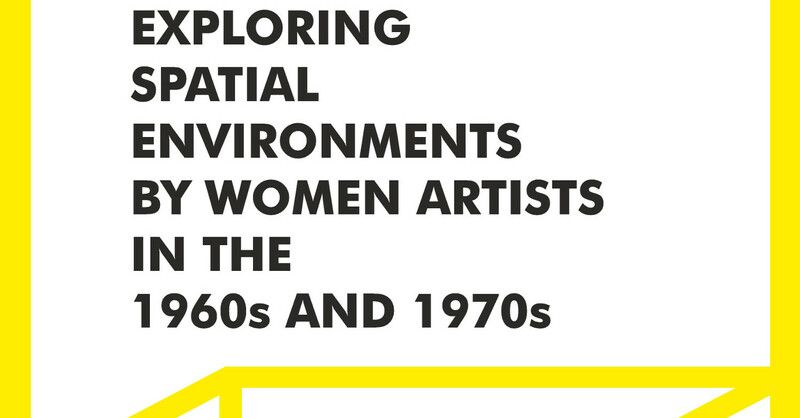 This event is inscribed in AWARE´s mission to make space for 20th century women artists by contributing to the writing of new art historical narratives through publications, conferences, exhibitions and the gathering of documentation on artistic practices. In parallel, this conference is part of the IHA Contemporary Art Studies Group´s research focus on spatial practices and exploration of zones of intersection between contemporary artistic production and processes of geographical, historical, political and cultural inscription. Critically drawing on this preliminary distinction while expanding its exploratory scope to a variety of geographical and cultural areas of artistic production, this conference aims to create a forum for discussing, in a cross-cultural perspective, spatial environments realized by women artists in the 1960s and 1970s. Challenging examples include, among many others, La Menesunda, created by Marta Minujín and Rubén Santantonín in Buenos Aires in 1965, Lea Lublin´s Penetración Expulsión (1970), as well as Tania Mouraud´s meditation rooms and Carla Accardi´s tents, realized since the late 1960s in France and Italy, and Túlia Saldanha´s black rooms, created in Portugal in the early 1970s. The heterogeneous qualities of these environments, their very diverse functioning, different aesthetic as well as cultural and political inscriptions, suggest the need to expand and rethink Pérez-Oramas´ distinction. In this sense and in the context of feminist art historical scholarship this conference seeks to encourage the articulation of new exploratory categories potentially capable of apprehending the works´ singularities as well as questioning the common threads that could connect them to other practices.